What is consciousness and if it’s a good thing how can I get some for myself? 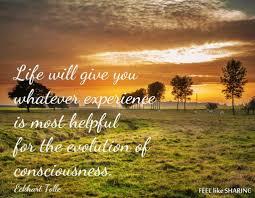 Consciousness like all of the other good things in life, has to be earned. It isn’t something that you save up for and purchase with hard earned money, becoming more conscious is work that is done on the inside of who we are, we must begin to learn how to heal our inner wounds to achieve mindfulness. Consciousness involves the fine art of recognizing our Ego, this is not always an easy task. Our Ego is as sly as a fox, and it’s false intelligence easily leads us to believe in it’s every thought. Those thoughts become our reality, and therefore it is safe to say that our reality, most of the time is in a state of neglected ignorance. If we were able to disregard our Ego even fifty percent of the time, individually our life would be lived in a completely alternate way. This alternative life would allow us more freedom to roam, to dream the vastness of our natural potentials, we would not suffer from the fears that our Ego is constant to remind us of. The process in which consciousness is born comes to those who are ready to wander, not aimlessly or unsystematically, but certainly with the courage enough to embrace change. Awareness is difficult enough on it’s own, if you are not emotionally willing, ready and able to make some adjustments to your existing life and how you are living it, then conscious realization will be much much more difficult. Because beautiful Soul, consciousness is not just a state of mind, it is a life style and if you are not in balance with the life that you are meant to be alive and well in, the scales won’t tip in your favour, not until you fully acknowledge what it is you need to change. Once you open up your arms with the full intention of placing your faith in the process of healing your Soul, you will never have to doubt that you will be shown the way. There is a force greater known to man inside of you, and that energy has been waiting the whole of your life to embrace it. If you are not able to make today your day to embrace the energy that is ready to illuminate the way for you, then know it is ok, sometimes we must be patient with ourself. Perhaps tomorrow you will be more prepared to reach for the torch that will bring you some of that good stuff called ‘consciousness’.